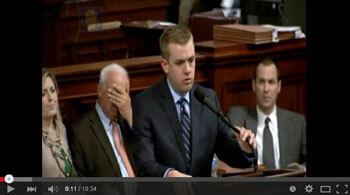 HARRISBURG – State Rep. Bryan Cutler (R-Peach Bottom) this week raised concerns about legalizing medical marijuana, including the impact of bypassing the Food and Drug Administration (FDA) product approval process as well as how current federal law would affect banking and gun ownership. Other possible consequences include loss of rights for workers as well as property and land owners. Federally, marijuana is classified as a Schedule I drug under the Controlled Substances Act, meaning it has a high potential for abuse, lacks accepted medical uses and lacks safety for use under medical supervision. Because of this, the federal government does not permit the use of medical marijuana, and medical studies are limited on any effectiveness of the drug. Both the American Medical Association and the Pennsylvania Medical Society have agreed that more research is needed on medical cannabis. In addition to medical concerns, medical marijuana also generates logistical issues. Because of its Schedule I status, medical marijuana must be purchased primarily in cash at marijuana dispensers, which could lead to false accounting and tax fraud and make the dispensaries targets for robberies. An unintended consequence of Senate Bill 3 is the impact that it could have on patients who would unknowingly commit a federal crime; federal law prohibits anyone who uses medical marijuana from owning a firearm. Gun dealers would be prohibited from selling to anyone who they know uses the substance. Medical marijuana also has the potential to put users at risk of losing their jobs and prevent them from receiving unemployment benefits. Additionally, it may subject property owners and land owners to prosecution who provide locations for dispensaries. Despite Cutler’s negative vote, the bill passed the House and now goes to the Senate for a vote on concurrence. To view footage of Cutler’s comments during debate of Senate Bill 3, click here.